Established in 2008, we, Poma-Ex Products are engaged in the manufacturing and wholesaling of high-quality Industrial Adhesive. 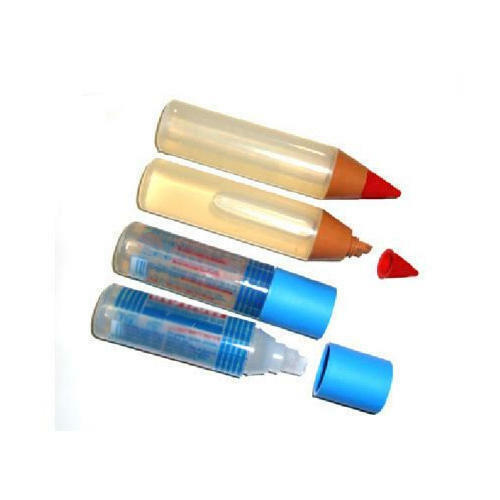 Offered products range consists of Instant Adhesive Glue, Adhesive Bond, and Liquid Instant Adhesive. All offered adhesives are prepared using effective and pure ingredients. Apart from this, offered products are well known due to their accurate composition, easier application, superb sealing strength, excellent longevity and high purity. Also, our products are easily accessible to clients at economical market prices. We are equipped with a spacious infrastructure. Also, our quality experts make sure to check the entire offered industrial adhesive on different quality parameters to deliver our client's flawless range. For the benefit of our clients, we are offering different payment options to them like cash, DD, and online fund transfer. Apart from this, owing to our principled trade policies and client-centric approach, we have attained a wide base of satisfied clients. Also, we offer our products in the market under the Fixokwik and Kwikheal Brand name. Together with this, we export our products to Bangladesh and Sri Lanka.